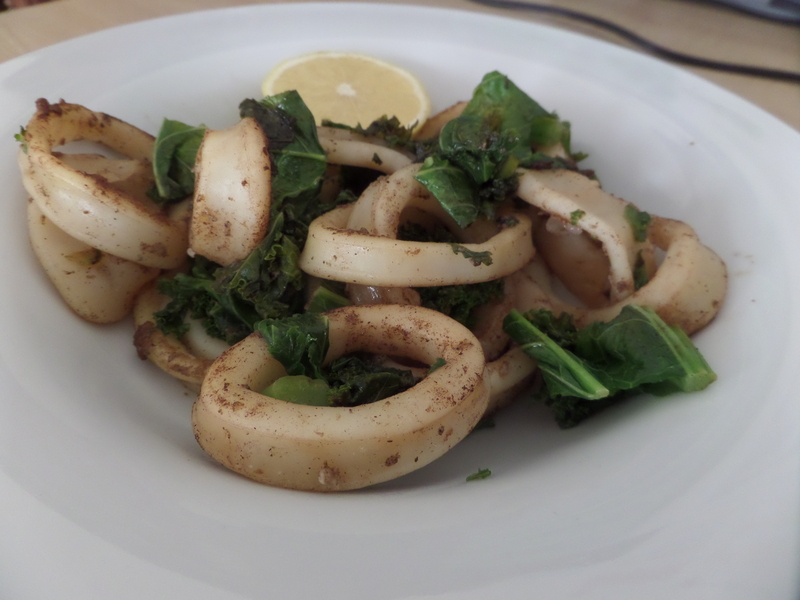 Really easy: sear freshly sliced squid tubes in coconut oil, with a little salt, black pepper and a bit of balsamic vinegar towards the end (until they caramelise slightly). I also added in some chopped kale. 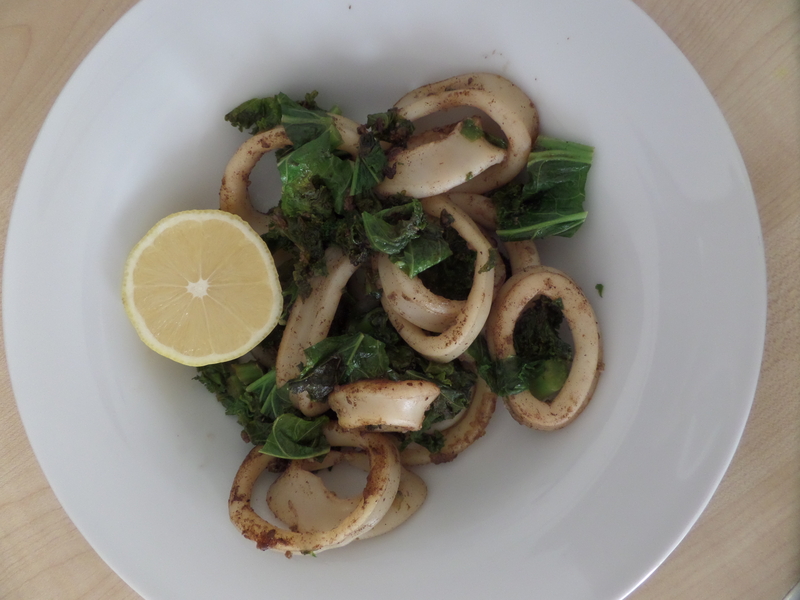 Posted in seafoodTagged balsamic vinegar, kale, squidBookmark the permalink.